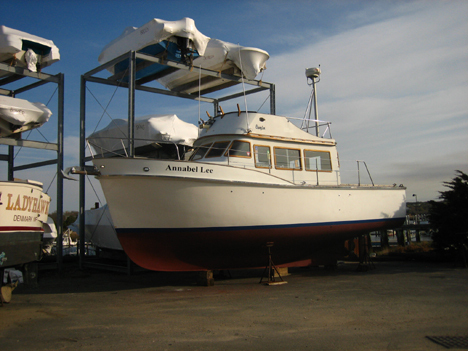 This entry was posted in boat, happiness and tagged Annabel Lee, boat work. Bookmark the permalink. Our rule for our boats: they have to have “50-foot beauty”. Which means, from 50 feet away, she looks beautiful. You get any closer you start seeing the defects.